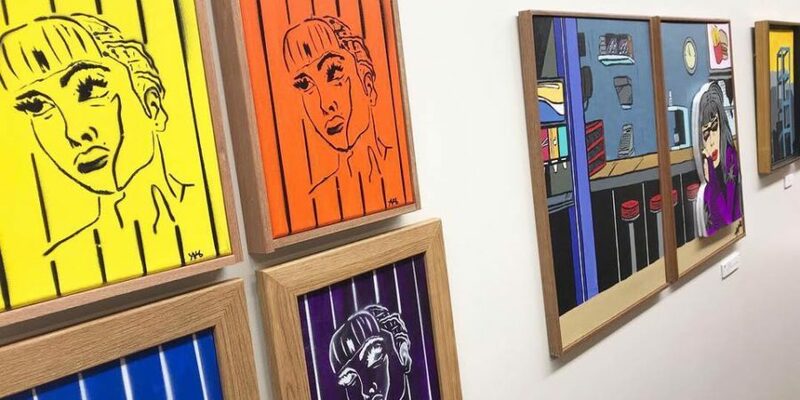 If you haven’t had a chance to visit the Lower Lobby Gallery, be sure to visit this month for “Points of Youth,” a multimedia exhibition created in conjunction with the student artists of Boys & Girls Club, Lawrence. An impressive array of paintings, ceramics, digital works, and more are currently on display, with all artwork, framing, and marketing undertaken by the students themselves. Many pieces have already sold, and all profits go directly to student artists! In April, we’re celebrating even more youth art with our annual USD 497 Exhibition. Our galleries will be overflowing with work from Lawrence public school students in grades K-12, promising to spotlight the amazing young talent in our community. The opening reception will be held on Final Friday, April 26th. Visit the reception for the announcement of the 2019 Vanguard Awards at 6:15 PM, selections from visiting jurors honoring outstanding 2D and 3D artists and art mentors in our local school district. Free Family Event Announced for April 27th! Win a Free Summer Youth Class! We couldn’t miss an opportunity like the 2019 USD 497 Exhibition to offer another Free Family Art Experience. If you missed our Gallery I-Spy: Auction Edition, join us for another good-humored I-Spy event on Saturday, April 27th from 10:00 AM to 12:00 PM. Bring your best Sherlock and Watson skills, as participants with completed games will be entered in a drawing for a free summer youth class enrollment! Summer Enrollment, Enroll Now and Receive $10.00 Off! It’s not too early; our summer enrollment is now live! With imaginative one-week elementary ARTspace camps (“Rainbow Explosion!” or “Cat Attack,” anyone? ), and medium- and studio-themed middle and high school Art Institutes, there’s space for every schedule and interest in our summer line up. Browse our catalog for everything from Pop-Up Books, and Miniature Masterpieces, to Jedi and Sith Camp, or Monster Hunter training! Better yet, enroll anytime between now and May 19th, and receive $10.00 off from your enrollment.